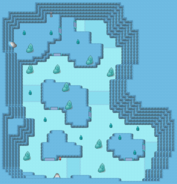 Interactive Map Location of Secret Base in [[Torren. Secret Bases can be bought for 5000 in Metchi Town. Every Secret Base comes with a Friend Safari. 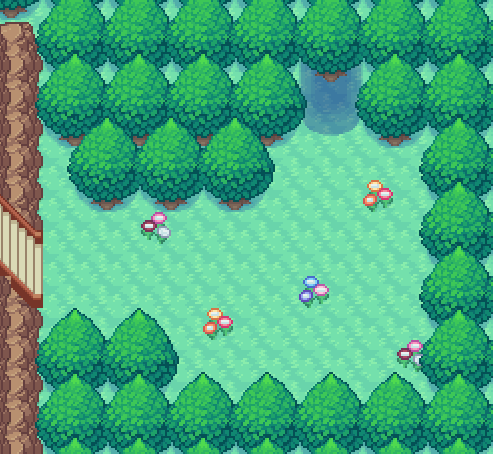 Secret Bases can be accessed by interacting with the backs of bookshelves on the bottom floor of any Pokémon center. 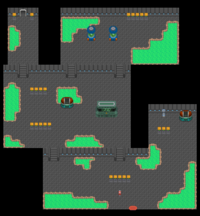 Immediately after purchasing their Secret Base, the player is given the Tablet. This Key Item allows the player to purchase upgrades and then also allows the player to place those upgrades. 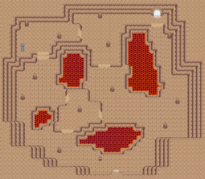 It can also be used to exit any player's Secret Base in the event that they get stuck inside. Using the Tablet, the player is able to purchase a wide variety of upgrades for their base. Purchases must be placed inside the player's Secret Base using the Tablet before the player may interact with them. Purchases may only be bought once and have unlimited uses. Note that a limit of 100 objects can be placed in the Secret Base at a time. Day Care Agent Allows the player to receive eggs from Pokémon left in the Daycare in Metchi Town. EV Resetter Resets a specific EV of a Pokémon. EV Trainer Helpful in EV training Pokémon by using specific Pokémon in battle to distribute the designated EVs. Costs 1300 per battle. Fossil Maniac The Fossil Maniac is an upgrade that can revive any fossil in the player's possession for no cost. IV Changer Maxes out the IVs of a specific IV in a Pokémon per IV Stone. 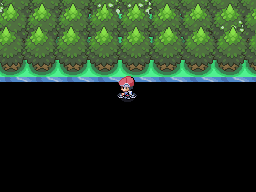 Level Trainer Helpful in training Pokémon very quickly. He has 3 Audinos whose levels can be selected in multiples of 10. The highest multiple of 10 available is dependent on the number of gym badges the player has. Mart Worker Sells the same items that a normal Mart would. Move Deleter Removes a move from a Pokémon. Move Relearner The Move Relearner is an upgrade that can teach any move that the player's Pokémon could learn from a previous level. Costs one Heart Scale per move relearned. Name Rater Allows the player to change a Pokémon's name. Nurse Heals the player's Pokémon. PikaTaxi Allows transportation by soar or fly. Mostly used to help or hinder other people entering the base. There are also several Pokémon plushes and statues that can be used for decoration. Note: The Mini-Evil Base theme is currently bugged; Friend Safari Pokémon do not appear inside when used. This page was last edited on 22 August 2017, at 06:48.